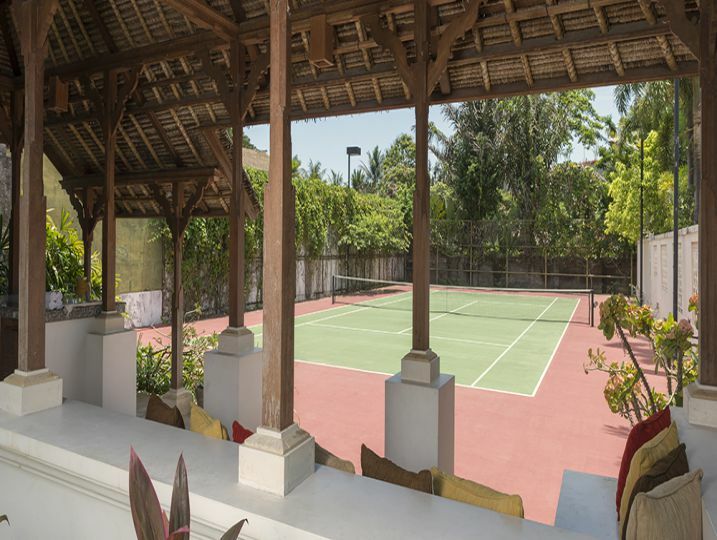 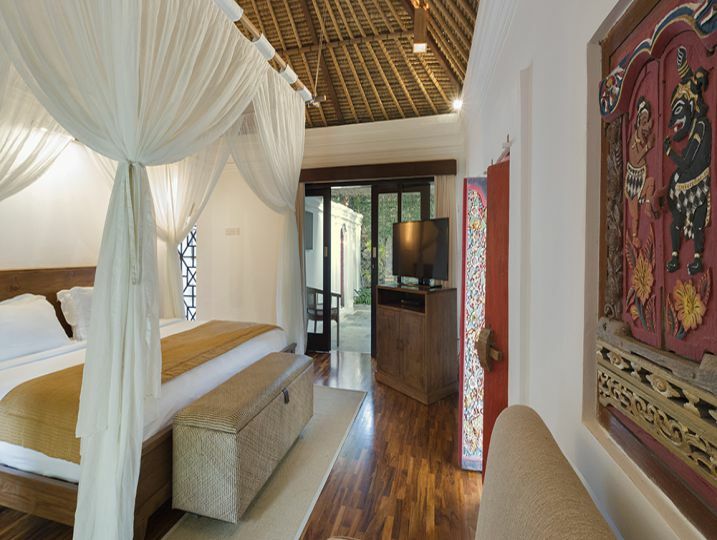 Villa Batujimbar exemplifies everyone’s dream of a luxury Bali villa, with its Sanur beachfront location, its fascinating history and a celebrity guest list that boasts monarchs and rock legends. 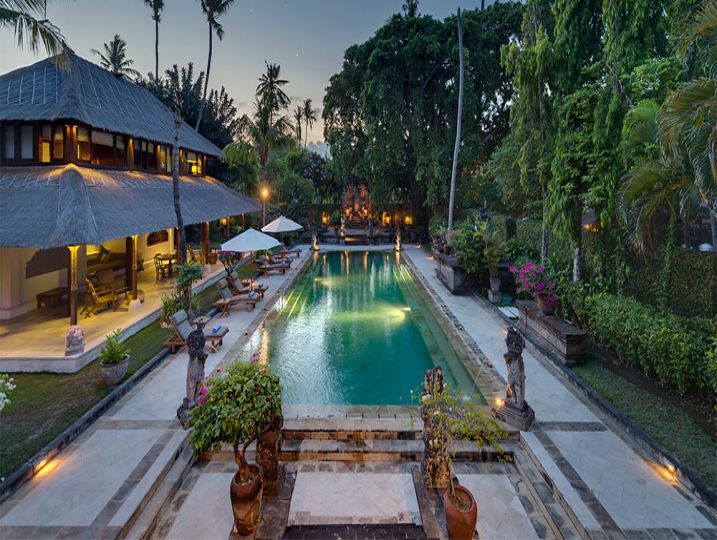 This is where Mick Jagger and Jerry Hall tied the knot, Sting gave an impromptu concert, and Princess Diana retreated from the media glare. 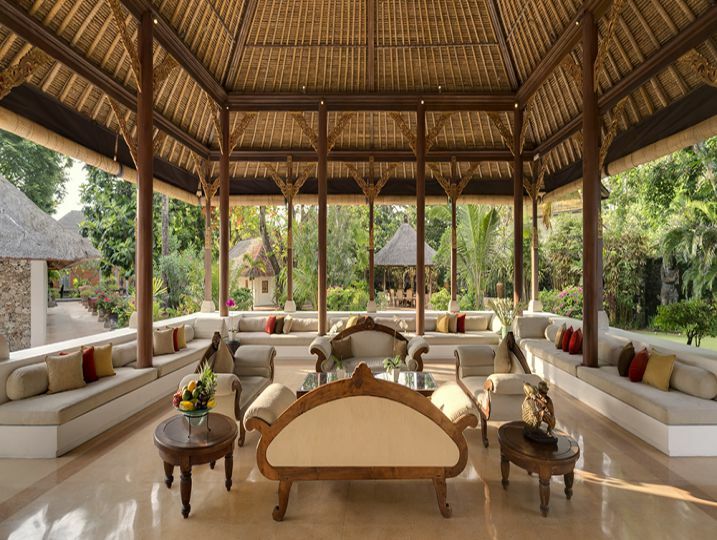 When the current owner – who took over from Aman hotelier Adrian Zecha in the mid-1990s – first visited Batujimbar in the early 1970s, acclaimed Australian artist Donald Friend had already invited architect Geoffrey Bawa to apply his signature ‘tropical modernist’ style at the Batujimbar Estate. 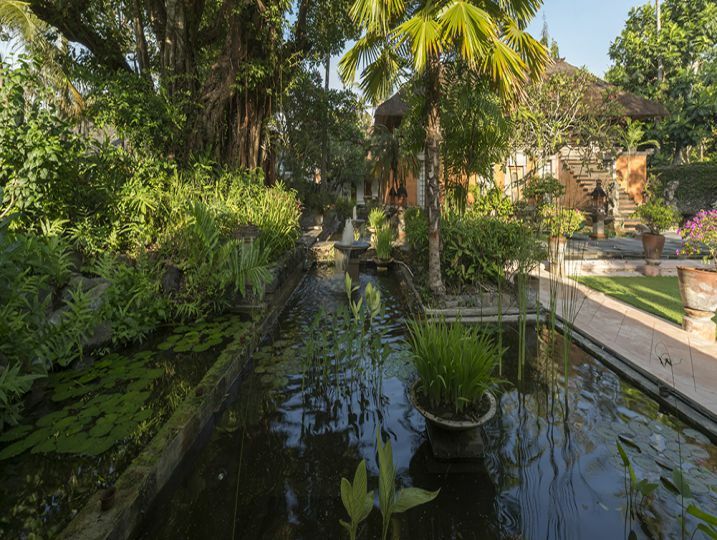 Bawa created a harmonious relationship between buildings and landscape, influenced by the famed Balinese palaces at Amlapura and Klungkung and the water gardens of Tirta Gangga. 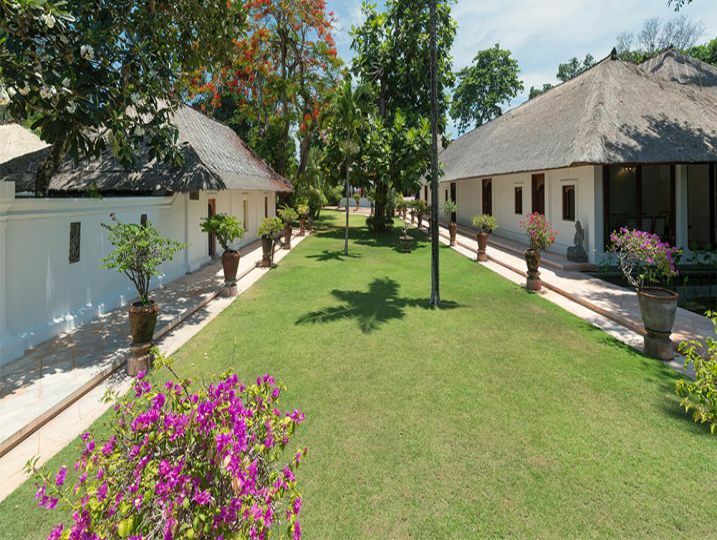 His moated Lembu Balé with its stately living area still commands centre stage, and today provides an enchanting setting for wedding ceremonies. 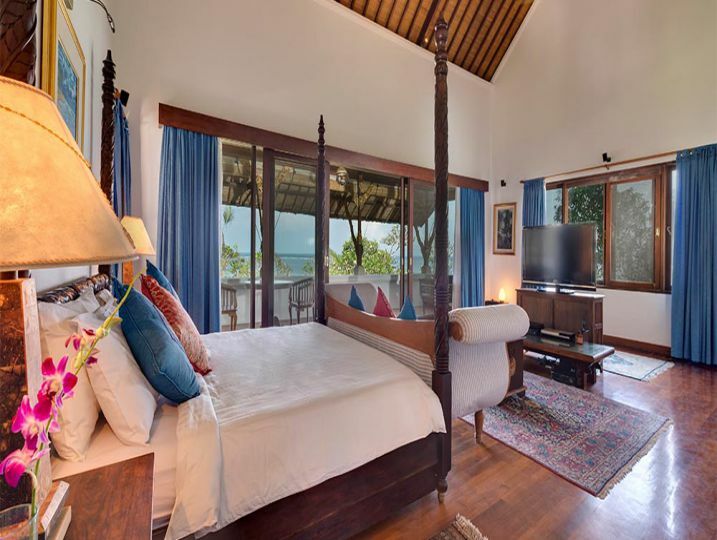 Villa Batujimbar’s myriad living areas and nine bedroom suites occupy a series of thatched pavilions enriched with museum-worthy paintings, heirloom artefacts and architectural treasures. 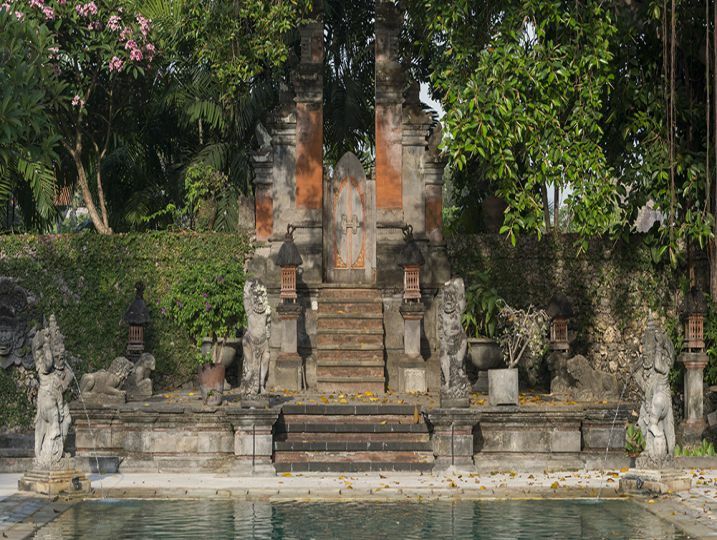 Within the meticulously maintained gardens, fountain-filled lotus ponds, moss-encrusted statuary and intricately carved stone reliefs contribute to the villa’s unique character. 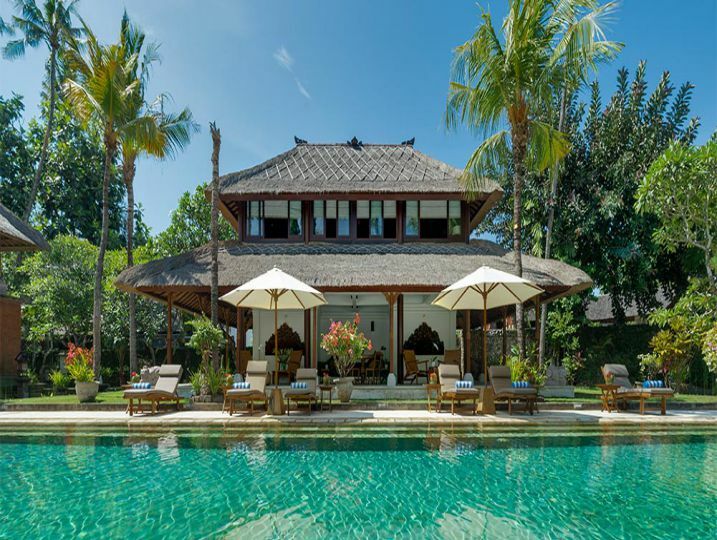 While its design pedigree might be firmly rooted in the past, the villa’s facilities will be welcomed by today’s discerning vacationer: a 20-metre swimming pool, private tennis court, a private chef and personal round-the-clock butlers to elevate your residency to regal levels. 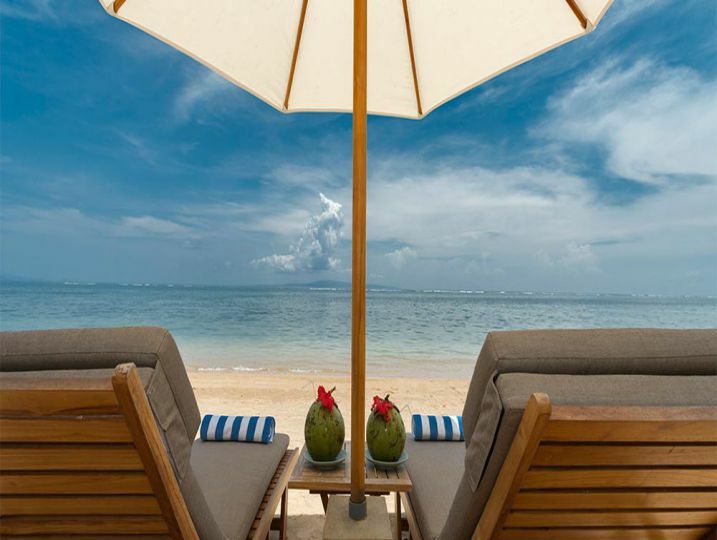 Start your day with coffee at the beachfront balé, facing the island of Nusa Lembongan across the calm waters of Sanur bay. 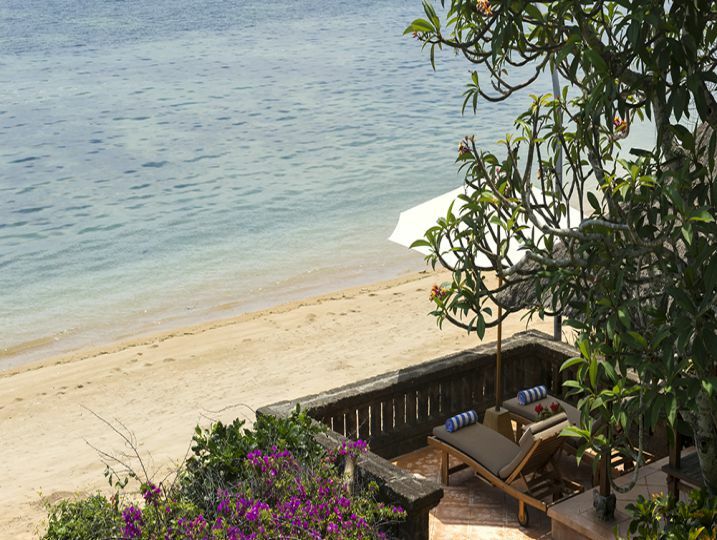 After a breakfast served on heritage Jenggala tableware in the alfresco dining pavilion, slip through the ornate gateway onto the golden-sand beach for a swim or sprint along the promenade. 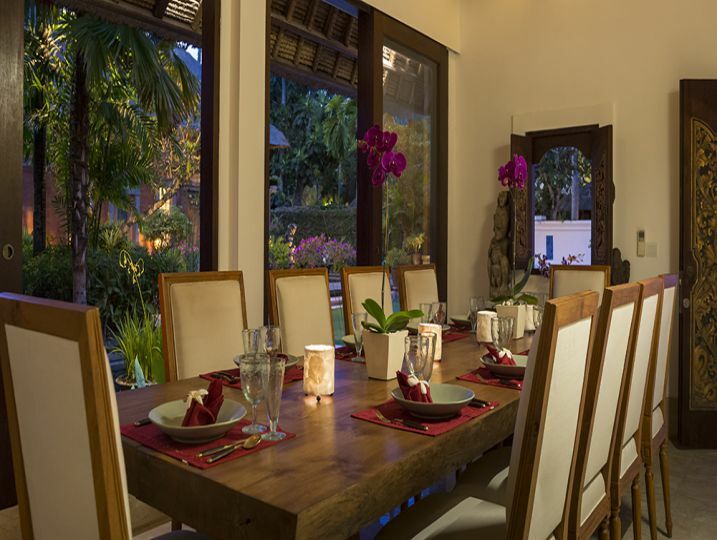 At day’s end, feast on dishes prepared by your private chef, or take a five-minute stroll to the myriad restaurants that line Sanur’s main entertainment and shopping street. 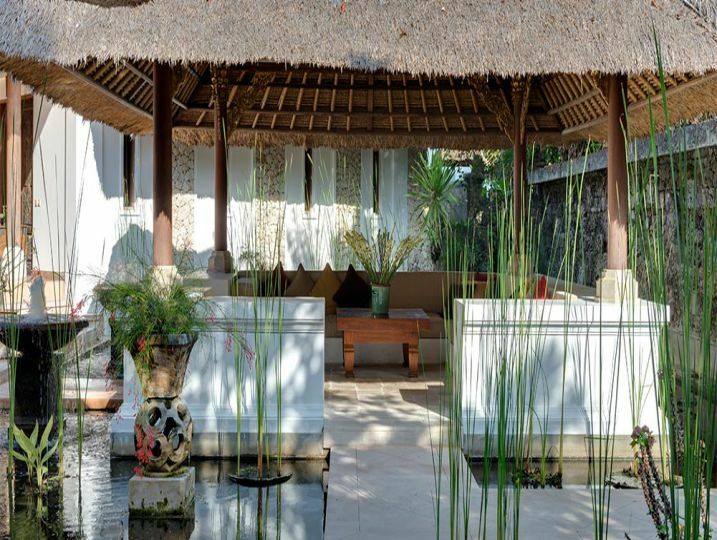 At any time of day, life at Villa Batujimbar is pretty perfect! 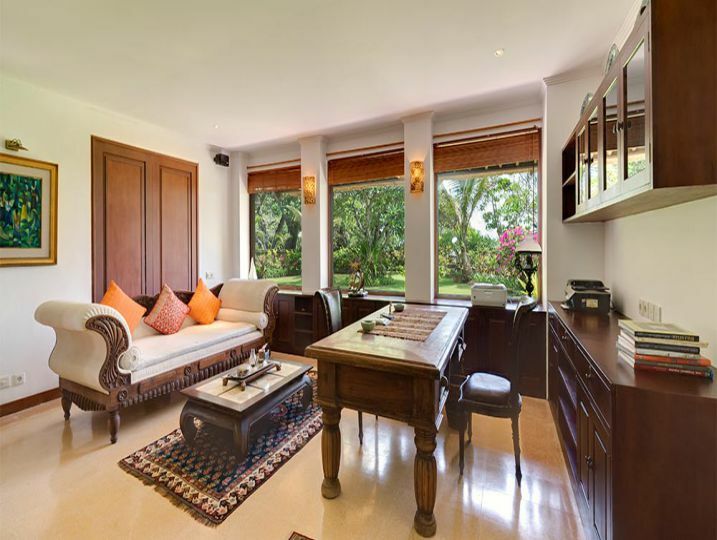 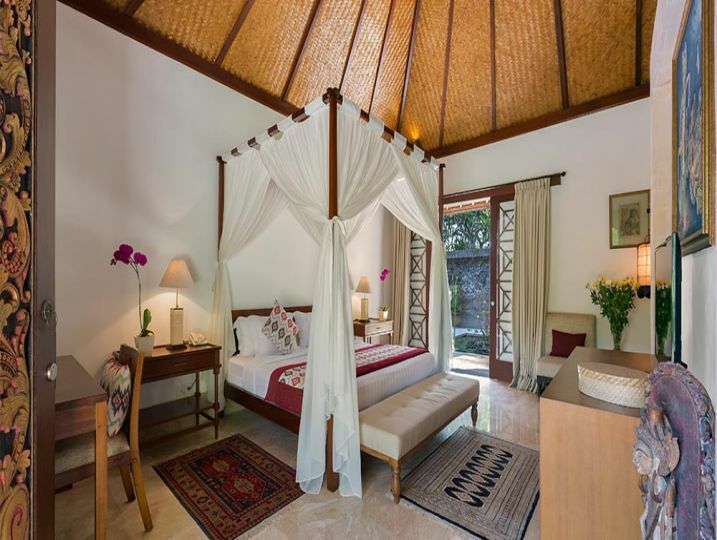 Villa Batujimbar – 9 Bedroom is available for selected dates.